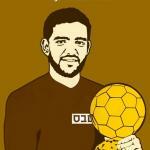 While solidarity actions with the Palestinian political prisoners are continuing, the last week has seen ever increasing activity around the unprecedented hunger strike of 25 year old Palestinian professional footballer Mahmoud Sarsak, imprisoned without charge or trial by the Israeli occupation forces for the last three years. As international outrage over his illegal detention by Israel intensifies, and calls are made to disqualify Israel from hosting the Under 21s UEFA championship in 2013, solidarity protests for Sarsak intensify throughout the world. Nabi Saleh: During the weekly protest at Nabi Saleh on Friday 18th March, against the wall and settlements, the Israeli Occupation Forces fired tear gas, rubber bullets and skunk water at protestors, injuring two Palestinians, Wa'ad Tamimi (15 years), and Walid al-Tamimi (16 years) and one international activist. A choir from Scotland attended the protest and sang songs of solidarity at the front of the procession. Attacks by Israeli settlers on Palestinians in the West Bank continue apace, while the occupational forces provide the aggressors' with protection. The attacks, ranging from destruction of fruit trees to seizure of land, demonstrate Israel's continued commitment to policies of terrorism and ethnic cleansing as they continue to expand and build on stolen land. 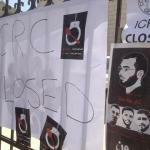 The headquarters of the International Committee of the Red Cross in Ramallah was closed on Thursday by a group of determined Palestinian activists, which included many family members of the hunger striking prisoners. The protestors see the ICRC as “complicit with Israeli policies of occupation”. This closure is part of the escalating campaign against international organisations in Palestine whose silence is seen as complicity. At 1.30am this morning ten armoured jeeps of the Israeli occupation forces and intelligence surrounded and raided the offices of Stop the Wall in Ramallah. Israeli military stole 2 laptops, 3 hard drives and 10 memory cards containing files and photos as well as archive material relating to the work that the organisation does in opposition to Israel's apartheid wall and the attack on Palestinian human rights that the wall and the settlement represent. This Friday the demonstrations against the Wall and the settlements across the West Bank were dedicated to the ongoing struggle of the Palestinian prisoners. The protests have supported the brave hunger strike of the prisoners and called for international solidarity.